I don't know about you, but I've got Spring fever in a big way. As lovely as the snow has been, I'm very ready for some flowers. And color. Oh, how I miss color! There's been a lot of work in my studio lately and it seems that the recurring theme is flowers. The new favorite, Honeysuckle Mist necklace! So, you like free things right? Of course! Want to play for a $25 gift certificate to our shop? 1. leave a comment telling us your favorite color to wear. I LOVE to wear yellow - especially jewelry! I love to wear purple! Love to wear any bright colors! But my fave is yellow! I wear way too much black :( However I love to wear lots of pinks & reds to offset the black. Lately I've been partial to jewel tones. They work best on my skin tone. Those new items are gorgeous! I especially love the first one with the flower charms! My absolute favorite color to wear is any shade of turquoise/aqua! LOVE it! My favorite color to wear = pink. Every time I wear it people say, "Ooo, pinks your color." That's how I know I look good in it. I'm real sharp like that. Also, the honeysuckle ones are GORGEOUS. And I'm loving that Fresh Cut one too! Send those to Lazy Dad ASAP, mkay? I love charcoal grey! It's my current favorite. Red is my all time fav color. Tweeted!! Love your stuff girl! I like wearing blue. Its calming yet powerful. Oooh! I love all these new items, especially the Fresh Cut necklace! My favorite color to wear seems to be gray or pink! denim is my favorite (only) color to wear, but my favorite color to look at is just like what you call Honeysuckle. Lately my favorite color to wear is brown. I'm a big fan of coral too. I love orange...like rusty orange. :) AND LOVE the January flowers necklace! Thanks for the chance! I like wearing green but this winter I've found myself drawn to purple. I love to wear the color aqua blue! I love to wear turquoise. Its clean, cool, and calming and when paired with silver its always classy! I have been a pink person for a very long time...but I have realized that in the last couple of months I have been leaning more towards purple. Kinda fun to change it up. BTW: I love the new stuff. My favorite color to wear is black.. I'd love to be entered in your giveaway.. Thank you so much. I love most colors of blue! 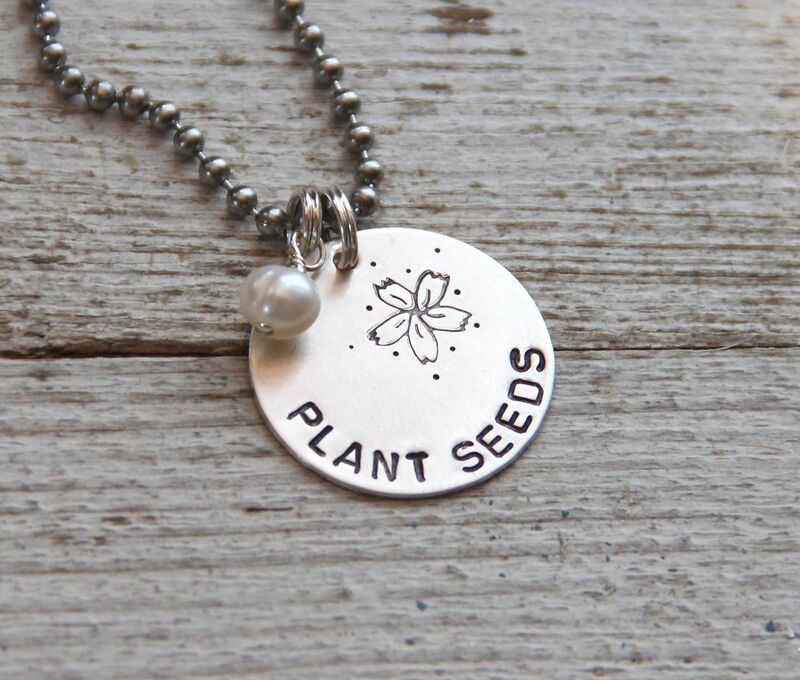 The "seeds" necklace is beautiful! It makes me happy and is the colour of life and renewal...come on spring!!!!! Love to wear classic blacks and grays.....with of course denim! I love to wear pink because I'm the only girl in my house! I love to wear pink, but seem to wear more black and grey lately. Must be the winter! My FAV color to wear is green!! Love Pink! I'm a pink girl!! Purple is my favorite color right now! I love wearing red and periwinkle ;-) and I love your jewelry! ps. 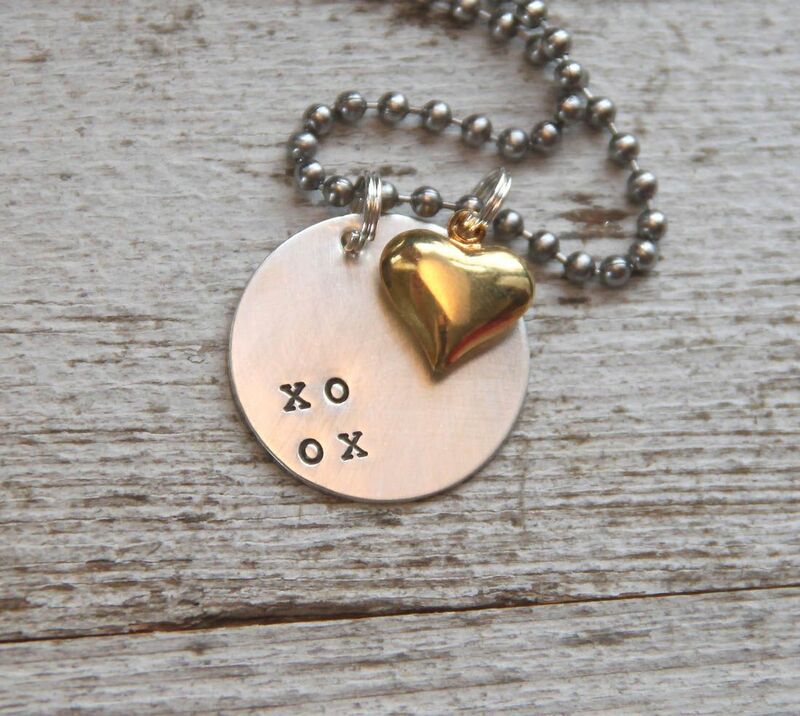 i ADORE your 'fresh cut necklace' it's so simple yet so refined! I posted it on my FB! I love to wear red with silver. I love all your items! I especially love your comment header..I can feel myself becoming skinny as I type lol!! Peacock is my favorite, Its a year-round color and striking with my pale skin and red hair. I love wearing bright greens. I love to wear red and black. So bold. I really love to wear browns/neutrals. I'm partial to emerald green. It stands out in my closet. 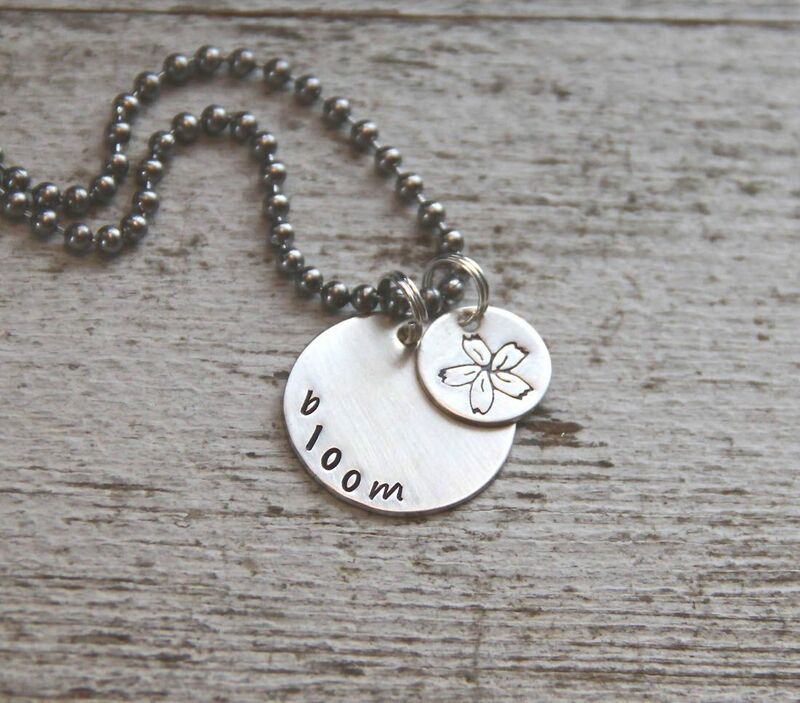 Ooooh, I love that "bloom" necklace! My favorite color to wear is teal/robin's egg blue. I like to wear black and then add a really colorful scarf or necklace. My favorite scarf is green. It changes with the seasons...right now, eggplant. Love the new necklaces! I love your new pieces. Oh I am totally into green & grey right now. right now ...red. I just made red scraves, mittens, pillows for the living room. Definitely red. Purple! Any time of the year, I love purple!!! Hmmmm. Green I guess, though my closet tends to be a rainbow. Different mood, different color! I'm loving the fresh cut flower necklace, that is awesome. My favorite color to wear is GREEN. Any shade. I'm a kelly green girl. Makes me happy!!! Love the new necklaces! I love to wear blue! My closet is very colorful. Maybe the most green though. All shades. I wear a lot of blue. I like to wear kelly green! My favorite colors are hot pink & red. I really love them both. I have an olive complexion with dark brown eyes & black eyebrows so they look Great on me. I mostly wear red in the winter and hot pink in the summer. I also Love your work. So hope I win! Thanks for the opportunity. not going to lie, i am drawn to wearing black. but as far as colors that pop...pink and turquoise! I like to wear red!! I tend to wear brown a lot, so I must like it! :) Love your new items in the shop. I love wearing any shade of blue. Right now my fav is a turquoise blue but love them all! I Love to wear black and white! That combination takes up the majority of my wardrobe. I've tried to venture out into the world of color, but I am drawn to black/white like a moth to a flame - especially if it is a great graphic print. does any of the above make me emotionally unstable?! I'm a sucker for turquoise lately!!! Pink is my favorite color. I tend towards the bright end of the color spectrum. I love to wear green. It seems fresh and goes with every season. I really love all colors!!!! If you look in my closet, there is plenty of evidence of that, but my favorite colors to wear would be red or turquoise. I love blues and coral!! I like to wear brown and green...not necessarily together. i love to wear pink! I love the color green but I most often reach for black. I am crocheting a sage green scarf to help rectify the all black outfits. I love blues, reds, and blacks. I can't pick just one color... I wear them all! I guess my fave is aqua... or green. Or pink. I love to wear Turqoise! It's my new favorite color and is finding it's way into my decorating as well.......... :) Hope to win, I love your stuff! I don't have a fave. But I tend to wear the neutrals (black, white, gray, brown, khaki) but I LOVE to give them a pop of color with ANYTHING bright. My favorite color to wear is deep, crimson red. oh honey i just love all your stuff! if i had deeper pockets i'd buy a necklace a month! let's see, my favorite color to wear, the one that makes me most happy, is turquoise. i have a fancy cardi everyone's probably tired of! My favorites seem to change, but I have always been a purple person!! I tend to be drawn to blues and greens. Love the new stuff! A real pretty lime green--notn one that would glow in the dark. I love to wear pink and red and blue - not all at once, but I probably would wear them all at the same time in a cute floral print! I love to wear green. It is a really good color for me. Thanks for the giveaway. Your new stuff looks great! I don't know what you meant by "facebook" for this, but I did share the link to your "Plant Seeds" necklace on my profile. Does that count? I love to wear a dark teal color, browns, and black/white/red! 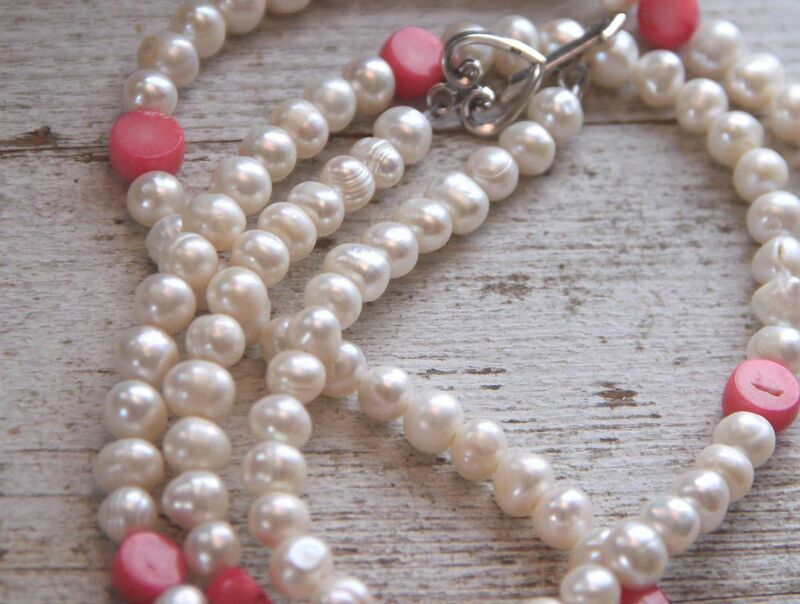 Gorgeous jewelry! i love anything colorful! i love yellows and blues but this year so far i am in love with bright purple! Turquoise and various shades of ocean blue and green. They make me happy! I love to wear aqua!! I love earthy colors, browns but also greens! I LOVE to wear blue!!!!! I love wearing pink and brown. Love the new necklaces! I love to wear browns accented with pretty much any color (greens, pinks, purples, etc....) :-) the necklaces are lovely! I do love the honeysuckle.. i love pink.. so girly.. pink and browns are my faves to wear. I have been wearing a crazy amount of peacock blue lately. I am just drawn to that color for some reason. I also love, love, love gray right now. Your new jewelry is gorgeous as always. . . I like to wear various shades of pink, it always makes me feel girly & pretty! LOVE the bloom necklace! - that is my One Little Word for 2011! I love most colors, but green is my fav!!! Yellow is my favorite color - it's hard to not overdo the yellow when I'm shopping! I love to wear black with color being in the jewelry! red...it's a long story that involves God, rainbows and some very small, magnolia seeds. updated my fb status with a link! I wear a lot of pink and probably almost as much purple! I love to wear pink or neutrals. Brown is my favorite color to wear, from taupe to chocolate. I mentioned your contest in my facebook status! I prefer to wear greens, but end up wearing a lot of brown. Go figure! My fave color to wear is peach. jenniejava spread The Rusted Chain joy! 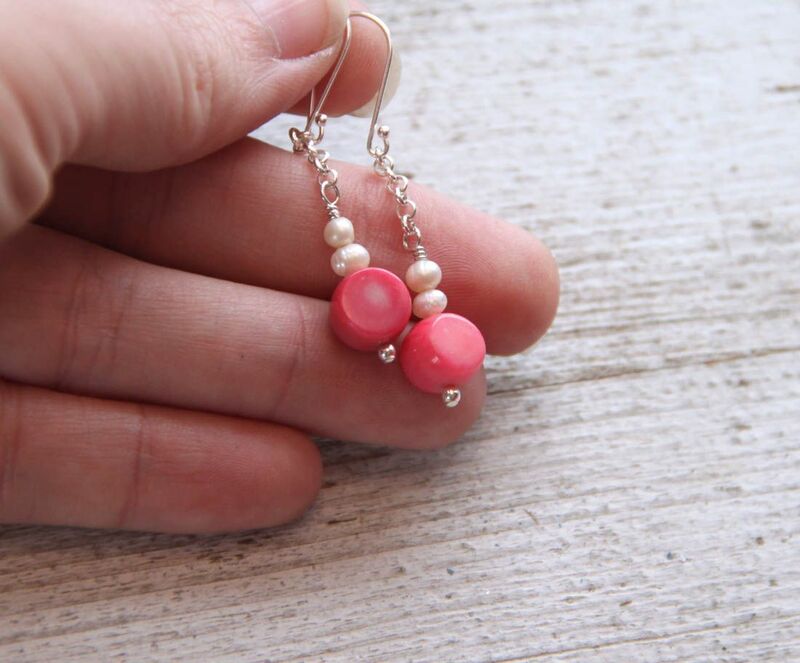 I love to wear pinks and oranges/corals! I just bought a new bright orange cardigan at my favorite store, Target! 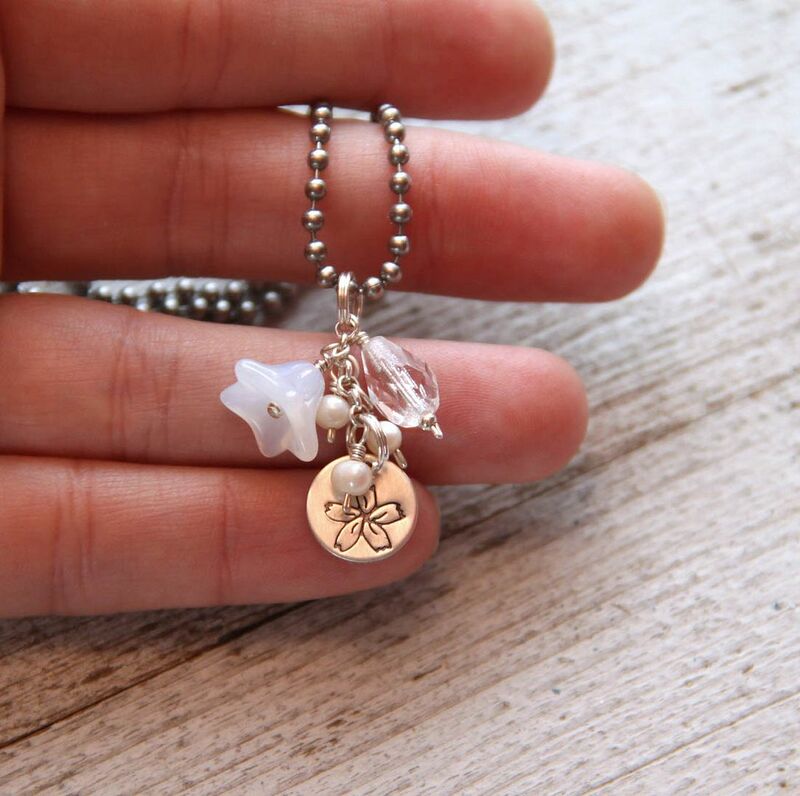 I would love to win the necklace with the flower charms to go with it! I love to wear red because it automatically makes me feel more cheerful. But, I ended up with so much red in my closet that I had to stop buying it and ask my Mom to stop buying me anything red. So, now I have like 5 green shirts and sweaters in the closet....maybe time to suggest a new color? Thanks for the great giveaway!! Your stuff is beautiful. I wear a lot of black, but I really love turquiose and red. I love the fresh cut flowers necklace. Very cute! Such pretty stuff! I like to wear blues and blacks. My wardrobe used to consist only of those colors. But as an adult I have branched out and buy some bright pinks and reds to change it up a bit. LOL! LOVE the new items! i've been wearing a lot of brown and gray lately. Right now I am liking gray a lot. I can play up my accessories and the gray makes a good background. Second would probably be turquoise...boy that is a range if color, huh?!?! the jewel tones go best w/my whitey gray hair!. but pink is fun too. I love the rusted chain and my colors favorite is blue ! !